It is official: Jason Wu’s collection for Target will hit stores on February 5. 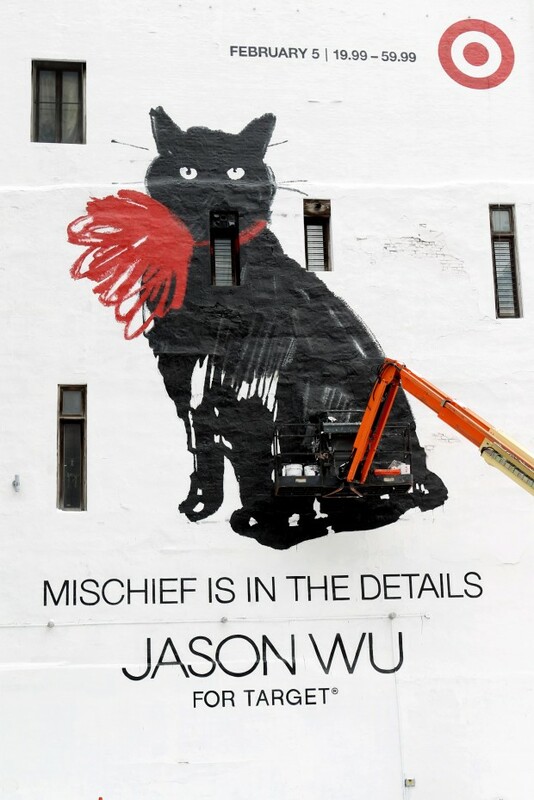 The collection features the tagline “mischief is in the details” and embodies Wu’s signature style—clean lines, smart details and bright colors. The best part about this designer collaboration? Each piece in the collection ranges from $19.99 to $59.99 for clothing and $19.99 to $49.99 for accessories. What a bargain! Also, check out the massive billboard in NYC’s TriBeCa with Milu as the star. It’s simple and cute; I love it! 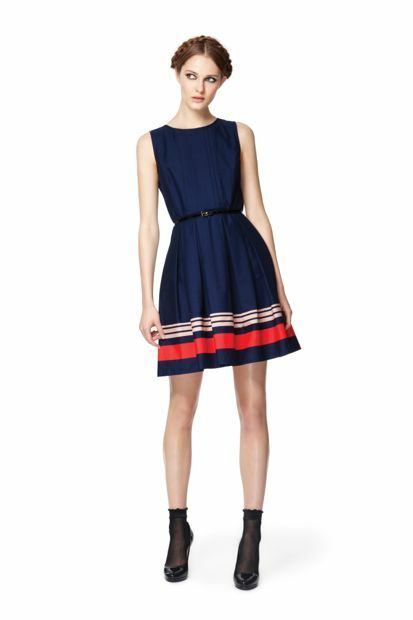 After looking over the entire collection on Fashionista.com (found here http://fashionista.com/2012/01/finally-jason-wu-for-target-the-complete-collection/) I definitely give it an A+. I love the simple and classic lines of the dresses. These pieces will be staples in consumers’ closets for years to come. They are perfectly suited for the target customer—practical yet chic, and definitely affordable! Here are my favorites: Will I see you at Target on the opening day? Our picks from the NET-A-PORTER sale! Net-a-porter is in the middle of a gigantic sale, with huge savings on designer bags, shoes, clothing and more from brands like Stella McCartney, MICHAEL Michael Kors, Lanvin, Burberry and Alexander McQueen. 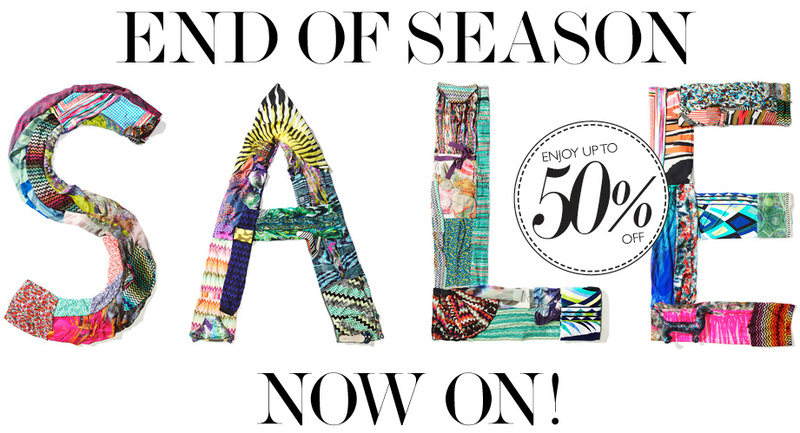 Browse all 84 scrumptious pages of the sale at Net-a-porter.com, or keep reading for some of our favorite picks! 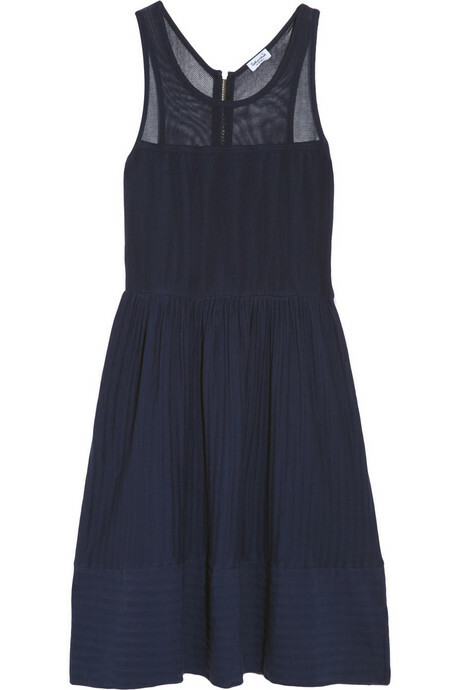 The Shadow mesh and cotton dress from Splendid is delicate and classy, yet slightly edgy as well. This dress is the perfect way to show a little skin without going overboard. Pair it with delicate jewelry and heels for a flirty, girly look, or go bigger and bolder with your accessories to make more of a statement. Was $110, Now $77. Already seen in our Spring Issue, this gorgeous Burberry Belts printed silk scarf would add a classy splash of color to any tailored look needing a dose of fun. 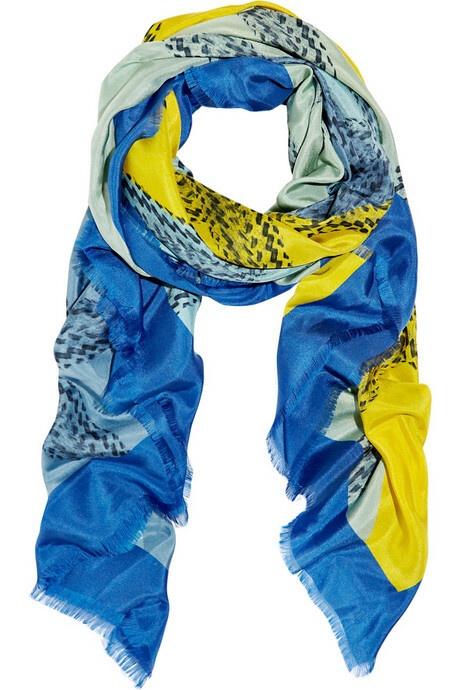 While it’s still an investment piece, this scarf is to die for! Was $450, Now $224. If you’re still searching for the perfect pair of summer shorts, these belted twill shorts from 7 For All Mankind may be for you. Since they’re slightly high-waisted, tuck in a loosely fitted tank to let the pretty bow take center stage! 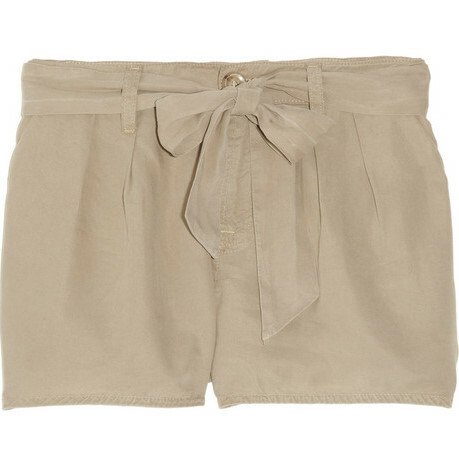 You could wear these shorts in the fall, too, by pairing them with a nautical striped top and cute cardigan. Was $155, Now $77.50. Hint: If you love this style but don’t want your wallet to take so much of a blow, I spotted very similar pairs in black and a darker tan at Target that were calling my name! Want your phone to be as fashionable as you? If you have an iPhone, protect it in style with a Marc by Marc Jacobs silicone iPhone 3G case. In hot pink or black, the case is embossed with Marc’s signature jumbled letter motif. Was $30, Now $15. 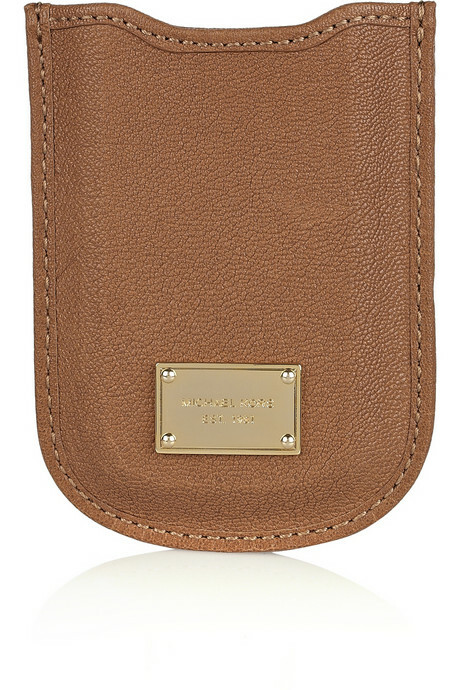 If you’re more of a Blackberry girl, the elegant Jet Set Blackberry case from MICHAEL Michael Kors comes in a gorgeous buttery tan leather. Was $50, Now $25. Tired of your fashion jewelry? 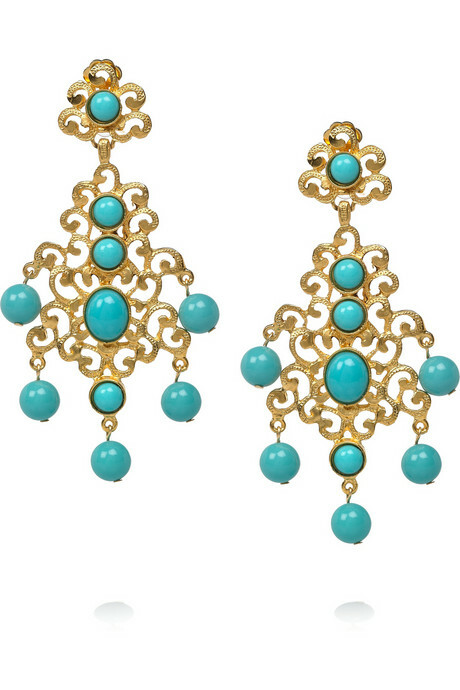 Frame your face with these bright turquoise earrings plated in 22-karat gold. FromKenneth Jay Lane, these earrings will keep any summer look fun and fresh. Was $100, Now $50. 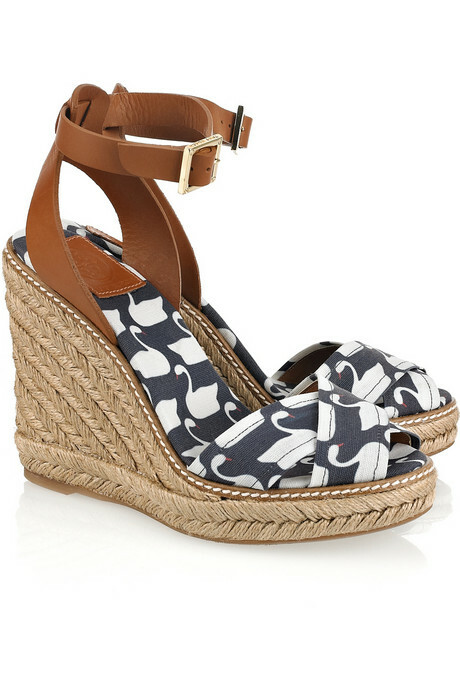 These swan-print wedge sandals from Tory Burch are adorable and playful! The white and navy palette is nautical and screams summer, and the brown leather and rope details add to the summer vibe. Pair them with your sundresses or a long maxi to add a dose of charm to your ensemble. Was $175, Now $105. Macy’s was recently on the radar of fashionistas everywhere with the debut of Madonna and her daughter Lourdes’ clothing line Material Girl. Today, Macy’s unveiled a new collaboration, but with a renowned clothing designer rather than a celebrity. Matthew Williamson is a London-based high-fashion designer who’s had his own shows at London Fashion Week since the summer of 2006. His designs continue to gain popularity in the United States, sported by celebrities like Katy Perry, Leighton Meester, Blake Lively, and Oh Land. Williamson’s Impulse line at Macy’s is available in the United States, so you can get the London style your favorite singers and actresses are wearing at an affordable price. Almost all of the items in the collection are under $100 (the prices range from $59 to $299), so in this case, it’s okay to splurge! The choices range from flirty, floral dresses to oversized sweaters to chic leather jackets, so there’s definitely something for girls of every style. Our favorite item? The Grecian Sleeveless One-Shoulder Jeweled Dress, a lavender cocktail dress that can be dressed up or dressed down. Unfortunately it’s one of the pricier items at $119, but that’s still a fraction of what you would pay for a high-fashion dress, even on Gilt Groupe. We also love the Long-Sleeve Leather Motorcycle Jacket, which is the collection’s most expensive item, banking in at $299. But how many orange, genuine-leather jackets does one come across? It’s an investment, really. And the asymmetrical zipper gives it the perfect finishing touch. Intrigued? Want to see all 33 pieces of the collection? Check out the Macy’s site here! We’re all familiar with Gilt Groupe‘s amazing deals, but sometimes we’re still left wanting the exact items our favorite fashion icons wear. Gilt Groupe did boast Lily Allen’s amazing Marc Jacobs Nylon magazine cover dress, but that was a rarity. Often, discount fashion sites and sales are collections of products that weren’t able to sell at the full retail price. Designers and retailers want to get rid of them, so they lower the cost and have third parties do the selling. But at DecadesTwo1.com, this isn’t the case. Rather than offering reduced prices on new merchandise, the site takes a new approach: it’s a consignment shop. DecadesTwo1 offers clothing and accessories that celebrities and fashion figures (Charlize Theron and Rachel Zoe, for example) have already owned, but no longer wear. It takes the guesswork out of fashion decisions – you already know that a style authority has deemed the item worthy of purchasing and wearing! Have you ever rushed to Target the weekend a new designer collection opens, only to find the piece you really wanted is already sold out? And when you go back to look for it, they never have your size? Or how about the designers whose collections you don’t hear about until they’ve already passed, or you just forget to go while they’re there? Rodarte for Target, courtesy of target.com. Will this be one of the featured dresses?? Many a fashionista has experienced this feeling: the loss of an affordable, chic piece by one of the Target designers. The retailer has boasted incredible collaborations, including Isaac Mizrahi, Anna Sui, Rodarte, and many more. Lucky for you (and the rest of us who wish we had more of the renowned designer pieces), Target stores are offering a second chance for customers to own clothing from the Go! International Designer Collective lines. 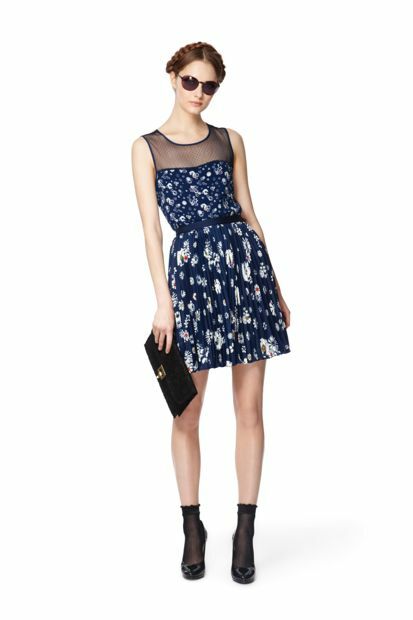 Beginning on Sunday, March 13th, Target locations nationwide will be selling dresses from 17 past designers they’ve featured collections from. According to their magazine advertisements, these designers will include Paul & Joe, Tucker, Libertine, Erin Fetherston, and other big names in the fashion world. Want a sneak preview of the dresses they’ll be offering? Check out their site for some great images! The sale will run through April 10, but we’re betting they’ll go fast, so don’t wait! Carrboro’s very own Roulette Vintage will be closing it’s storefront Sunday February 13 to focus on its Etsy store, but that doesn’t mean the fun is over. The oh-so-cute store, which sells vintage duds and local designer pieces, will hold its annual Valentines Day Party this Friday at its store from 7 p.m. to 10 p.m. The party will feature the designs of local brand Riverbasin Outfitters which makes repurposed clothing and accessories using recycled materials. It’s also the Art Walk (held the first Friday of each month), so after you sip love punch while browsing at Roulette, you can check out the art scene in Carrboro. Saturday and Sunday will be the store’s HUGE vintage sale. On Saturday from 10 a.m. to 6 p.m. all vintage will be 30% off. On Sunday from 10 a.m. to 4 p.m. all vintage will be 50% off. If you’ve been to Roulette before, you know they have good prices anyway, so don’t miss out on this shopping opportunity! It’s your chance to find a one-of-a-kind cocktail dress for a steal. The owners will be taking out vintage from the back as well, so you’re sure to find something you love.